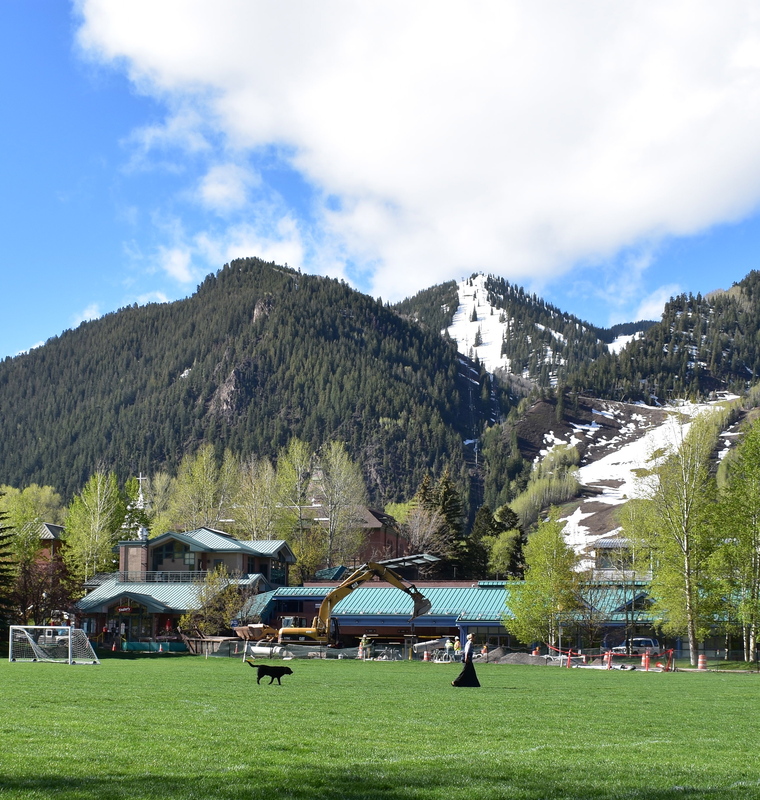 The town of Aspen loves her dogs so much that there are large stainless water bowls outside of many stores in the downtown shopping area for thirsty pups. This gorgeous Aussie was outside a consignment store where we were shopping. His friend says that he sits completely still while she shops and never takes his eyes off the door waiting for her to come back. Meet Dennis who walks regularly. 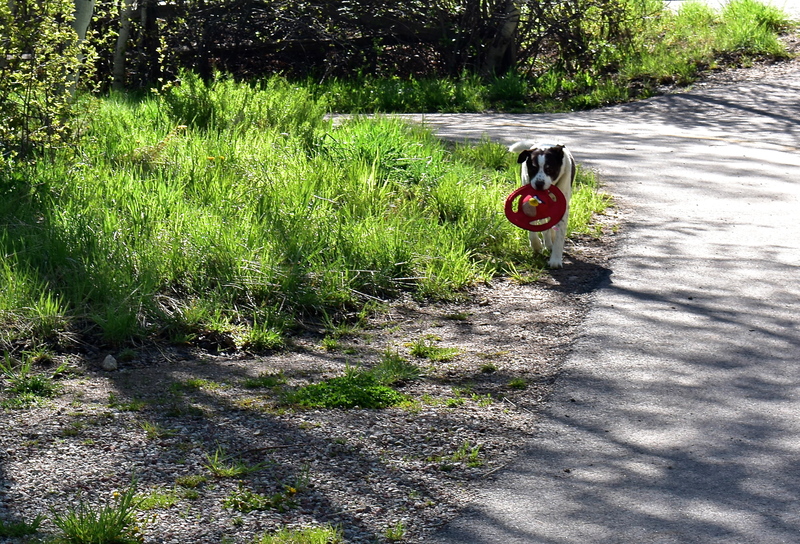 He insists on carrying his frisbee all by himself on his walks but drops it often and his friend has to stop and wait on him to go back and get it. She said that Dennis walks twice as far as she does because he has to go back and find his toy every few steps. Dennis is trying to catch up to his friend as we walk past him. I think this is the first dog named Dennis that I have met. We met Quincy on the Ute Trail one morning. He reminded me so much of our Buddy who passed away in February. This big bear of a dog was missing his leash when he saw us walking on a nearby trail and began heading toward us. I started praying and looking for the nearest tree we could climb. 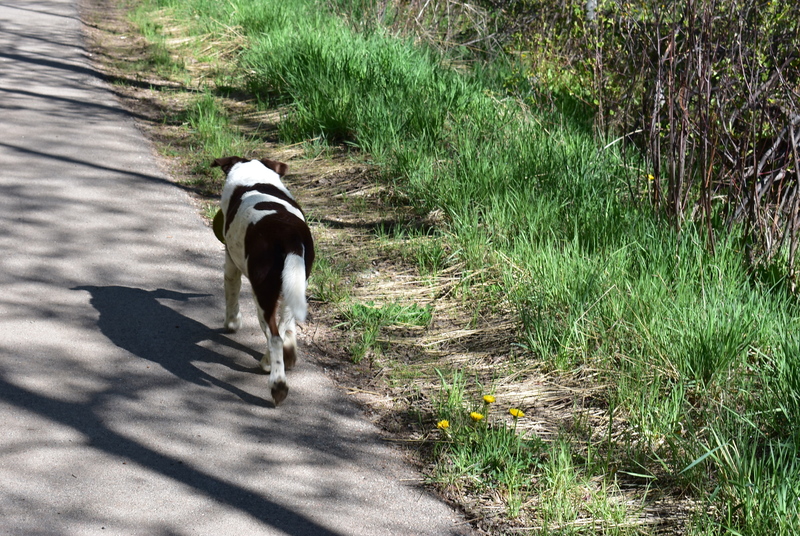 His family came around the bend in the trail, called him, and put him back on his leash. We talked to his family a little bit and found out that Wheeler is a 5 year old Rottweiler. He was a beautiful dog once he was on his leash! We met these three as we were crossing a bridge. They were as fast moving as the river beneath us. The man walking them was dog sitting. He has his hands full. They are all labs mixes. 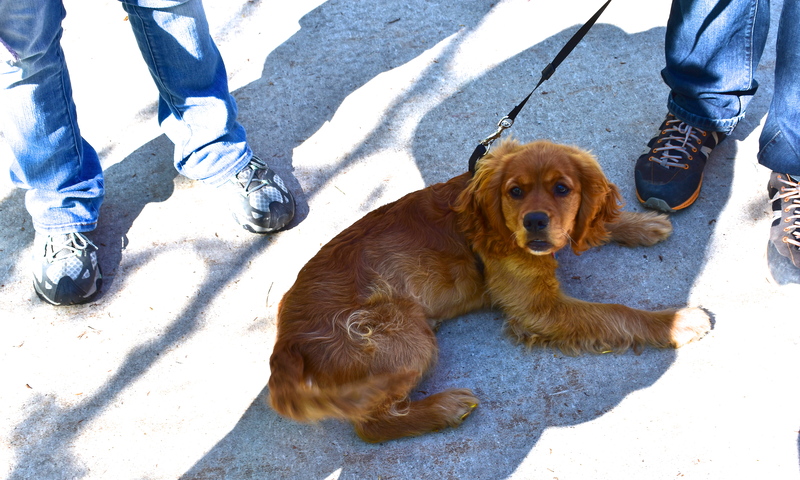 This is Ruby, a 4 month old Dakota Sport Retriever, a mix between a Cocker Spaniel and a Golden Retriever. She is visiting Aspen for the first time and was feeling the effects of the high altitude. She played around at our feet while we talked but laid down every now and then to catch her breath. The thin air effects all of us. 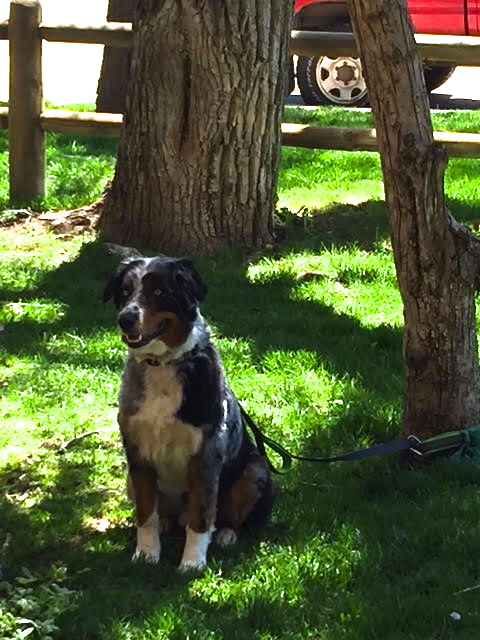 I think dogs in Aspen are the happiest dogs in the U.S.A.
Amy, I think this post was just for me!!! Very special, thank you! I was hoping you would like this! I wish I could have spent several days just admiring their dogs!